Here are a couple interesting things you can do. Let's say you've got a bunch of customers with a few invoices each, and you just want to know how much each of them has spent. You take your one customer record and you add many invoice records together to get the total they spent on all invoices. Note: This is a repost but useful. It's important to follow the steps exactly. Everything is case sensitive. Also when you type the two "" quotes, don't put a space between them. If you have spaces in your database, this won't work. 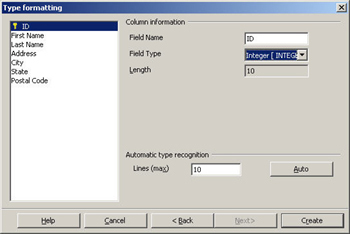 Either change the database field names, or create a query based on the table, and change the field names in the query. Then base the labels on the query. Here it is -- suppressing a blank Address2 field in your mail merges. It's not extremely simple, but it's reasonably straightforward and it works. Here's the situation we're addressing. Sometimes your addresses have two lines for the address part, sometimes they don't. But you have to put in the <Address2> field for everybody, since it's a mail merge. The setup has to be the same. But with this approach, your addresses look like this. Ick. How do you suppress that second Address2 line and the corresponding carriage return if there's no content for a particular record, for that Addres2 field? Select the Address2 field in your mail merge document, choose Insert > Section, and create a conditionally hidden section with this formula. Here are the details, using an example of labels. 1. Create the labels for mail merge as usual. File > New > Labels, select your database and tables, insert the fields, etc. 2. Choose the Synchronize Contents checkbox. 4. Here are the labels. 5. Turn on nonprinting characters if they're not on already. 6. Select the first soft return, shown selected. 7. Press Return or Enter to replace it with a hard return. 8. Repeat, to make them all hard returns. 9. Click Synchronize to update the other labels to be the same. 10. Select the Address2 field. 11. Choose Insert > Section. 12. Name the section Suppress. 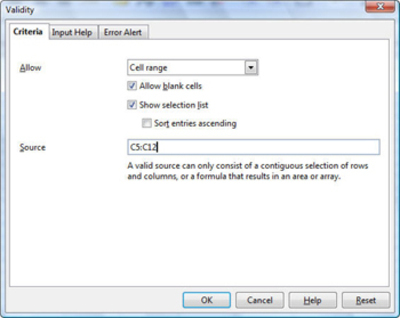 Select the Hide checkbox and type the following condition. The screen shot shows the syntax. 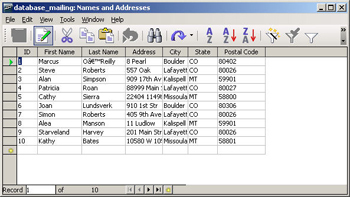 NOTE: if you are using the Thunderbird address book as a data source, you need to use square brackets if the field name includes a space (i. e.: [Address 2]=="") to hide the second line of the address if it the Address 2 field is blank. )� I would suggest in general avoiding field, table, or database names with spaces. Click the screen shot to see it bigger. It shows the syntax, not an actual example. 15. Now preview the data or print the data and you'll see that it prints correctly. 15. 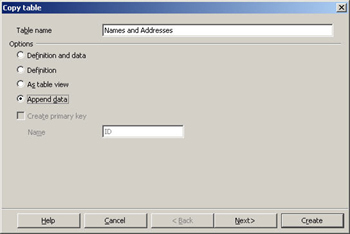 If you need to change the section, select it in the first address and choose Format > Section. Select the one named Suppress for the master label and make changes, then click OK. Click Synchronize again in the labels. Views and queries let you cherrypick what fields, and what data, you want to see. You can also create calculated fields to add data, and change the field names. You can then base mail merges, among other things, on what you've created. 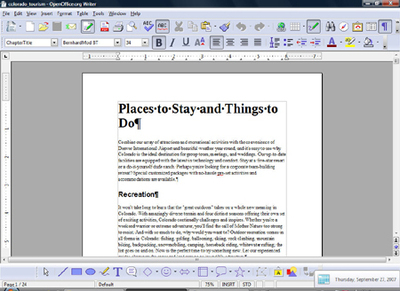 This is an article on creating views in OpenOffice.org 2.0. Queries are pretty much the same thing with a few differences. 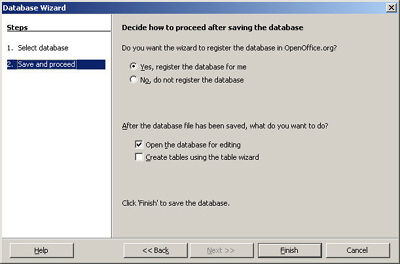 See also part 1 and part 2 of an article about creating databases in the database tool in OpenOffice.org 2.0, and the forms article, part 1 and part 2. When you set up labels, you set them up like this. All of those are mail merge fields.....EXCEPT the comma. So when you print out 17 labels on your 30-label sheet, you get a comma on EVERY label in the sheet. This is annoying. To get around this, add a field in your data source, like your spreadsheet, that's just a comma. 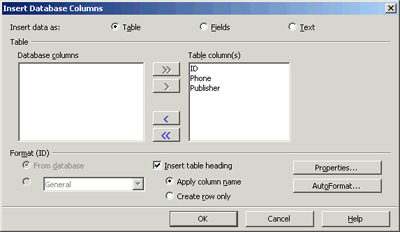 Make a new column anywhere, call it Comma, and type a comma in every row or record. Then instead of typing the comma, just insert the Comma field. I decided to repost this since it's got lots of really fun powerful NOT obvious technical stuff for reports. Starting a new database: spreadsheet or native Base database? Do you create a spreadsheet and put your info in that, or do you go straight for the higher-end solution and create a Base database? The good news, it doesn't matter that much. Generally, I would recommend that you start with the spreadsheet, then if necessary go to the Base format. The transition isn't a matter of right-clicking and choosing Convert but it's not bad. Pasting, essentially. Then if you find you want to do more complex operations like queries, data entry forms, etc. follow the directions in this article, also below, to turn your spreadsheet into a true Base database. 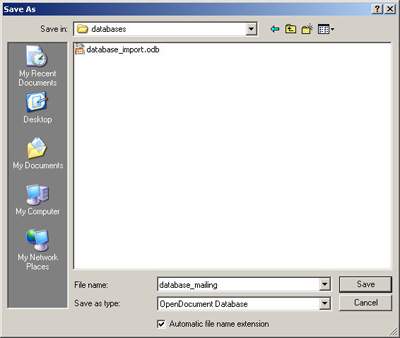 You create a new database file, like mynativedatabase.odb, and paste the contents of your spreadsheet into it. You will then use mynativedatabase.odb instead of mailinglistdatabase.odb. Now, you get to choose what database file you want to bring the data into. If you've already got a database, open it up by choosing File > Open. The database file can have existing tables in it; you can add new tables to it from the external data or you can append the external data to an existing table if the data has the same columns. If you don't have a database, you need to create one. Choose File > New > Database. Choose to create a new database and click Next. In this window, just leave everything as is and click Finish. You'll be prompted to save the file. Save it under any name you like and click Save. You'll see the database file open up like this. You're ready to continue to the next step. This is the simplest part. Open your spreadsheet, and paste it into your new database. You heard me -- that's all there is to it. Well, there's a little more, but it's very easy. 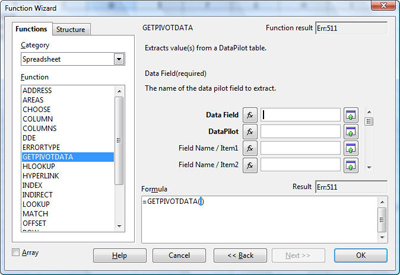 When you paste, you'll create a new table with the pasted data. Note that you can append to an existing table or create a new table. I'll cover appending later in this section. Here's what the process looks like to create a new table. First, in the spreadsheet, select all the data you want to bring in. Do include the column headings like Name, Address, etc. Now move over to your database file. Click the Tables icon on the left, since you're going to be adding a table. Right-click in the table area and choose Paste. And you'll see this wizard, which will walk you through the rest of the process. Name the table and leave the Definition and Data item selected. Also, decide whether you need to create a primary key. If you've already got something like a customer ID that is unique, you don't need to. If you don't, choose to create a primary key. Click Next. In the next window, insert all the fields you want to bring over. You can use the >> button to add them all. Click Next. 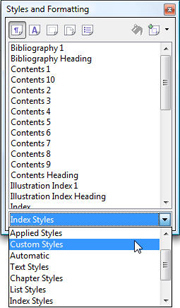 In the Type Formatting window, be sure that the file types and other settings are correct. Then click Create. If you're prompted to create a primary key, you can do it now or do it later (I'll cover that toward the end of this article). Your table appears in the database. You approach this the same way as adding. 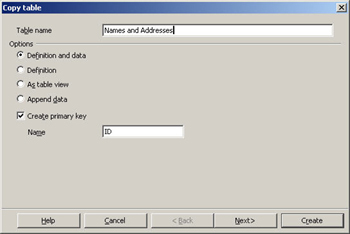 But in the first wizard window, choose to append, and type the name of the table to append to. Click Next. Line up the fields you're pasting with the fields that are already there. You can unmark fields to import and use arrows on both sides to make sure that the fields are lined up correctly. The fields don't have to have the same names: Zip will import correctly into Postal Code as long as the data types and other factors are correct. Click Create, and the data will be added to the table. Once you've got the data in, you can edit it normally. Here are a few common tasks. 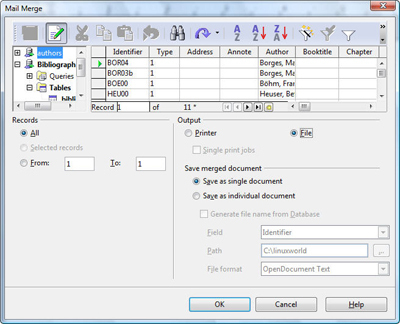 In the main database window, right-click on the table name and choose Edit. The window will look something like this. Make changes to field names, types, etc. and save changes. 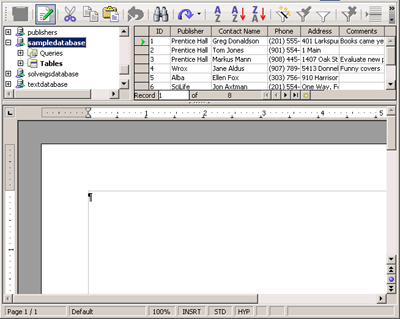 In the main database window, double-click on the table name. The window will look something like this. Make changes to data and save changes. Each table must have a primary key. Right-click on the table name in the Tables area and choose Edit. 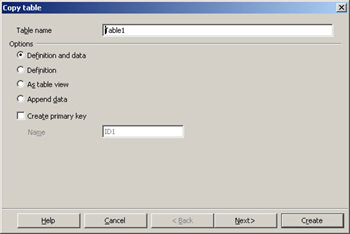 In the window that appears, right-click on the name of the field that should be primary key and choose Primary Key. Close the table, saving changes. This is a pretty straightforward approach -- once you know about it, of course. I think something along the lines of, oh, an option called Import under the Tools or File menu would have been nice; let's hope it'll be in the next version. But enough "wouldn't it be nice" for now. Returning to the metaphor I began with, you've now got a front door in your database so that you can get the data in. But what if you want to get data out again? Let's say you want to take your table, query or view, and you then want to export it to a spreadsheet or CSV text format. Again, there is no easy way. There is no option under File or Tools. But there is a way. And it's the topic for my next article. This is not fancy. There are a couple goofs. But it is accurate, and it's a video. Let me know how you like it! This is a very specific but annoying problem for which I've found a workaround (thanks to the smart folks in the training department at MASCO! ;> ). So, you've got a mail merge doc. It's labels. You've set it up to Synchronize, so that when you make a change to the upper left address and click Synchronize, all other addresses take on the same updates. I.e. if you make the text blue, or insert a graphic, or whatever, you just make the change in one place and it updates all the others. This is a very nice feature. Here's where you set synchronize. File > New > Labels, and in the Options tab select Synchronize contents. As you can see above, you see the field names, not the field contents, in mail merge documents. To see the contents, press F4 to view your data sources. Expand the data source you're using, select the table you're using, click the blank gray box that's circled to select all the rows, and click the also-circled icon called Data to Fields. But! What Happens When You Preview, Then Synchronize??????? Let's say you've previewed so you can see the data .Then you think, "Hey, the font needs to be different, and I want it to be green." So you make that change to the upper left frame like normal, you click Synchronize....and you get this. All the content is the same. You just click that same Data to Fields icon. Select all the data just like before, click the Data to Fields icon again, and this refreshes the display and gives you back the normal content. Note: Everything is case sensitive. Also when you type the two "" quotes, don't put a space between them. If you have spaces in your database, this won't work. 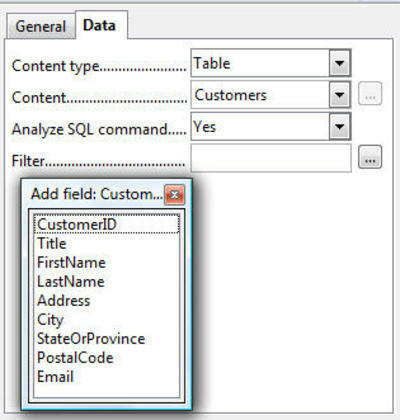 Either change the database field names, or create a query based on the table, and change the field names in the query. 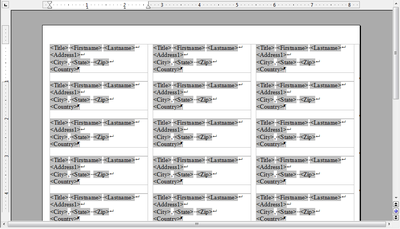 Then base the labels on the query. This huge and excellent list was put together by the helpful and brainy folks at www.oooforum.org, including SergeM. I don't write macros myself, but if there's something you're doing with macros that you can't find help with on that page, I imagine you're doing something with macros that's either very advanced, like gene research, or something that just isn't possible. 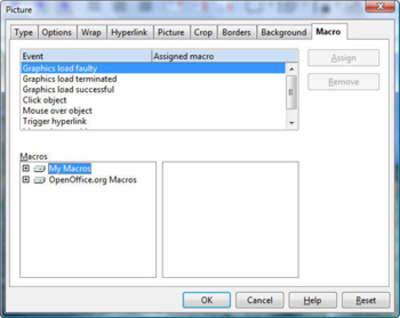 In OpenOffice.org 2.2 you can now export data in a reasonable manner. Here's one way in 2.4. Here's another way you might try. It's almost identical to the (albeit invisible) import method. Open your database .odb file. Right-click on the name of the table to export. Choose Copy. Go to a spreadsheet. Paste. If you don't spend every day hip deep in databases, you might not always be clear on the whole primary key thing, and how to join them. I want to clarify that this will work. Let's say you've got two tables. One is a table with city residents' IDs and names, street numbers, street names, etc. The other is a table with street names and the days on which garbage is collected. You need to send people a letter telling them what day their garbage is collected on. Thus you need to link the two tables. The primary key on the first table, the ID field, is different than the primary key on the second. The primary key on the second could be the street name since the street name is unique in that table. To create the query, you don't need to link the primary keys. You can link the two tables simply by connecting the two Street Name fields when you create the query. 1. 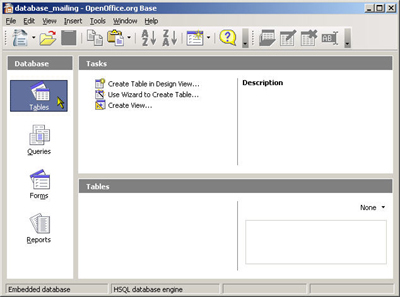 Open the database file containing the two tables. 2. Click the Queries icon at the left. 3. Click the option to create a query in design view. 4. 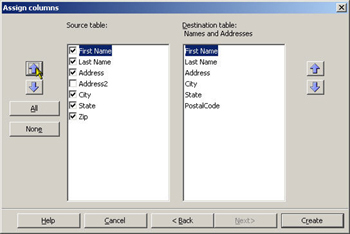 In the window that appears, select the first table name and click Add. 5. Select the second table name and click Add. 7. Now create your query. Double-click the name of any field you want in the query. In this case it might be Name, Street Number, Street Name, and Garbage Day. Run the query by clicking the Run Query icon. Drag the fields you want into the letter. You might want it like this. When you make a database, you of course have it chock full of data. Contractor name, Contractor pay rate, Number of hours the contractor worked, etc. Invoice ID, Item price, Number of items purchased, etc. Now, let's say you want to figure out something based that data. The pay rate times the hours to equal the total amount paid, for instance. To do that, you make a query. 4. Click the Queries icon at the far left. 5. Click Create Query in Design View. 6. 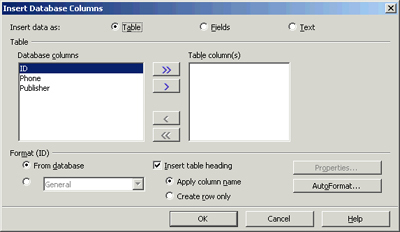 In the window that appear, select the table that contains the fields you need to calculate and click Add. 7. The table will appear in its own separate window. Add all the fields that you want in the query -- you might all of them. To add a field, double-click it. It will appear in the design area at the bottom. In the cell below that, the cell to the right of the Alias label, type the name you want to use to refer to this calculated field, like TotalPaid. Then click the Run Query icon to run the query. You'll see your results, with the calculation. For any of the columns, including the result, you can apply currency formatting. Right-click on the column heading and choose Column Format. 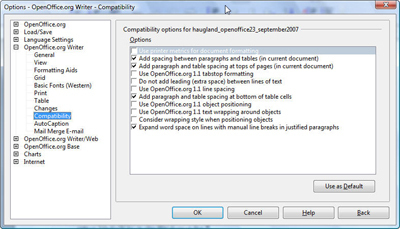 Select the format you want and click OK.
One of the simplest ways to write a query in OpenOffice Base, while still not having to be a programmer, is to use the Design view. Or even if you're as comfortable with SQL as anything in life, design view is still kind of a pleasant little tool. 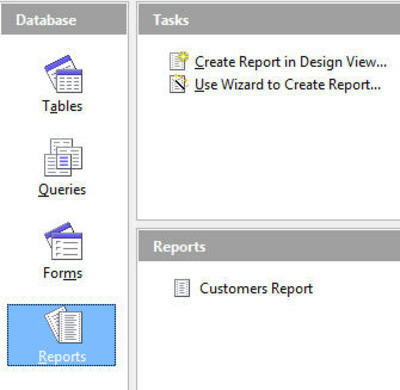 To create a query in design view, open the database file, click the Queries icon, and click the Design View option. You can click Add to add the table or tables to the query, then double-click each field you want in the query. It appears in the query design area. Add your functions, criteria, etc. Run the query if you like. Now, let's say you have a sudden attack of the SQLs. You can just choose View > Switch Design View On/Off and the view will change to SQL. Make the same menu selection again and the view changes back. Chris from the Boulder LUG pointed this out to me last night while I was singing the praises of Edit > Paste Special in OpenOffice.org. It's accurate, but you want the columns and rows in different positions. You want it flopped 90 degrees like this. 1. Copy the original data. 2. Choose Edit > Paste Special. 3. Leave All selected and select Transpose. And there you are, with the whole thing flopped around the way you want it. Now just delete the old data, drag the pasted data over it -- whatever you want. I've written an article for TechTarget.com on how to export data from a Base database to a spreadsheet or text file. I think somebody on the OpenOffice.org database development team has a mystery fetish. He or she read too many murder mysteries or hardboiled detective novels early in life or worked for too many years as the White House Easter Egg hunt director. Whatever the reason, this apparent fetish shows up in the Base module. Note: Having clearly labeled import and export features for Base has been proposed and you can vote for it by clicking one of the following links. Here's how to make things work until the features are implemented and put into the next build. Here's the related article on the cleverly disguised import function, for getting data from a spreadsheet, Access, or another database into an OpenOffice Base database. I've written an article for TechTarget on how to use the functions such as Sum and Max in OpenOffice.org Base queries and views. It took me a while to grok how to use these -- the difficulty is not in applying the functions, but in the kind of data you can use the functions with, and the Group function that needs to be applied along with Sum, Max, or whatever you're using. It's time for more data pilot adventures. I blogged here about the data pilot. The example I used there was for analyzing data in your spreadsheet. You also, of course, have the option of analyzing, using the data pilot, any of your data sources. You'd want to analyze a data source rather than a spreadsheet for many reasons-- perhaps the data is in Access and not in a spreadsheet. Or the spreadsheet is just realllllly big and you don't want to have to open it every time you want to run data pilot on it. Here's my sample data for this blog. Just a nice basic set of data for a week. It's similar but different to what I used in the previous blog and more suitable for demoing the different options. Click to see it bigger. The first step, of course, is to make sure you have a data source. (Or database—it's all kind of the same thing.) If you already have your data in Access or another database, you'd skip this, of course. However, let's say that this spreadsheet is extremely large and I need to make a database out of it to save time. Here's what you do to create a database from a spreadsheet; using a different type of data is pretty similar. 2. 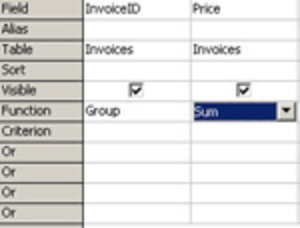 In the window that appears, select the last radio button, and Spreadsheet as the type. Click Next. 3. In the next window, just specify where the spreadsheet is that you want to turn into a database. Click Next. 4. Unmark the Open for Editing option and click Finish. 5. Save the database with an obvious name. 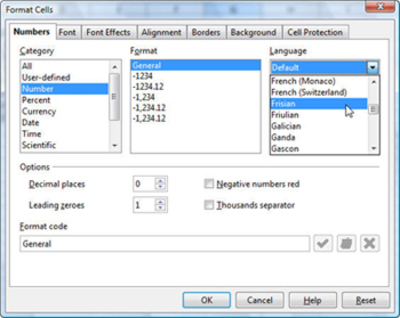 This is the name you'll be selecting from dropdown lists in OpenOffice.org. Now you've got a database. To analyze a database, start the same way as usual. 1. 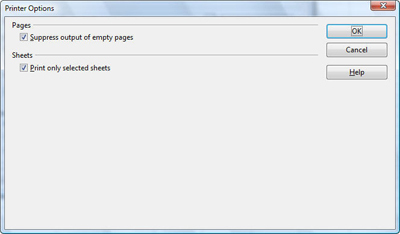 Open a new empty spreadsheet and choose Data > Data Pilot > Start. 2. 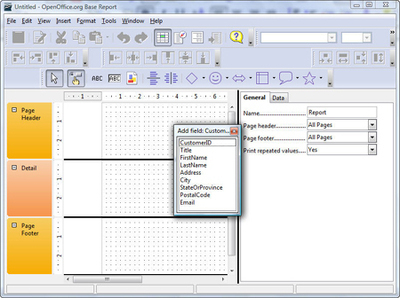 Choose to use a data source already registered with OpenOffice.org. Click OK.
3. Select the data source name, then the sheet name (typically Sheet1) where your data is, and specify Sheet as the type of data. Click OK.
4. Now you're ready to drag fields into the layout area and set options as you have with other analyses. This time, I'm using the Date fields as the quick filter field, so I put it in the Page area. The rest is as pictured. I double-clicked the Units Sold field and selected Average. In the results, we'll see the average for each book and store, not the total. For options, I'm choosing to identify categories, and to sum rows and columns. Here are the results of the setup shown above. I've finished my Base workbook! Click here to see the TOC. For the rest of the year it's at a Special Introductory Price of just $15. Feel free to provide suggestions or corrections for what to add to it. I'm not a DBA so would appreciate information on what additional tasks would be most useful with the tools in Base. I swear, my shift and matching pumps are getting a little worn out with all this detective work. A reader wrote to me about how to automatate a 50-page document that had a mix of canned and uncanned text, data entry fields, etc. I didn't have a perfect solution but the email did remind me about forms. I wrote an article for TechTarget about how to create forms based on a database; that post is here. The salient portion is actually here on TechTarget. The main point is that the simplest and easiest approach to creating a nice data entry form is through the wizard. 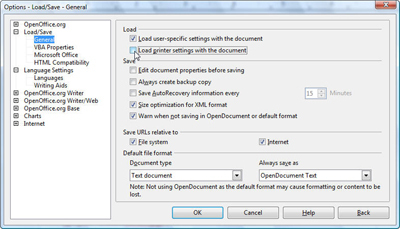 Another approach is to choose File > New > XML Form Document. I haven't even begun to get into the guts of forms like that--here are some of the windows/palettes you get when creating XML forms. Click to see it larger. As a nonprogrammer, I'd just like to say that Submissions and Bindings sounds a little kinkier than a basic data entry form, and also that I need to do a lot more work before I can blog intelligently on either topic. How to tweak your forms created in the wizard if they're not what you want. OK. So you've created this form in the wizard. You want to make a few changes--one, obviously, that the Review field isn't big enough. Open the database that it was based on, choose Forms, then right-click on the form name and choose Edit. The form will open up looking like this. To change the size of a field or make other changes, first ungroup it from its prompt. Right-click on the field, choose Group > Ungroup. Then just click on the field and resize it the way you would a text box or a graphic. However, the field still doesn't look right--it doesn't wrap and the text is centered vertically in the middle. So click the Form Design On/Off icon again to go back to edit mode and fix this. Now the field looks the way you want. Now, let's say you need to change one of the fields from a regular entry field to a list box or combo box, which would present a list of choices. 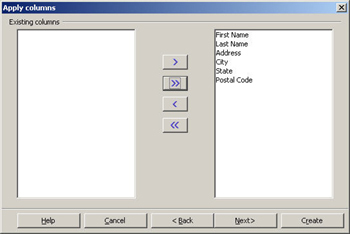 A List Box requires the user to select one of the items you set up; a Combo Box lets the user select from the list or enter their own. To demo this, I'll use the Genre field in this form. I ungroup the field as before, plus I had to rearrange fields below it to give it some room. Then I resize it to make it bigger, so that there'll be room to display the options. Now I right-click on the field and choose Replace With. Here are all the options. List box, radio buttons, all sorts of fields, etc. I'm going to choose Combo Box. Here's what it looks like. Now I'll create the items that will show up in the list. I right-click and choose Control. In the window that appears, click on the List Entries field, and type the items you want to appear in the list. After each one, type Shift + Enter to go to the next line. When you're done, close the window. That's all there is to it. The field will look like this. And when you create a new record, you get the same options to choose from. The selection is saved in the database the form is connected to. There's a lot more you can do to tweak forms, of course, but those are two pretty representative types. Just use the Replace option, and right-click and choose Control to manipulate the changed field. 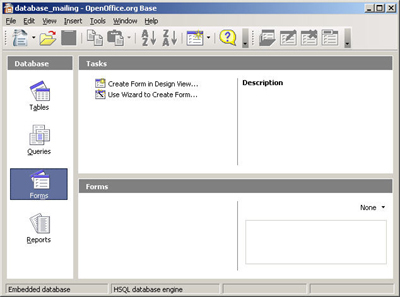 This is an article on creating forms in the new OpenOffice.org 2.0 database tool: part 1 and part 2. 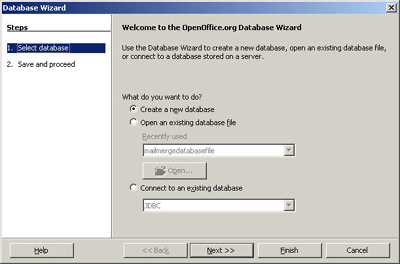 Here's part 1 and part 2 of an article about creating databases in the new database tool in OpenOffice.org 2.0. See also articles on views and the forms article, part 1 and part 2.